It is the fag end of monsoons. It rains but, erratically. The grass in our backyard has grown tall and strong. It is a breeding ground for insects, grasshoppers, and caterpillars. Most of them have fed on the juicy blades and left abstract patterns on them. Thick vegetation also makes it unsafe to move around as post monsoon is the season of snakes. Yesterday we got down cutting the grass. 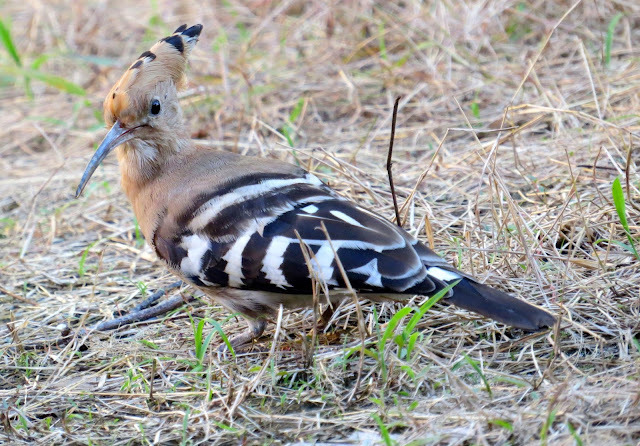 In the evening we spotted a Hoopoe in the clean backyard. The bird was feeding ravenously on caterpillars that are in abundance. 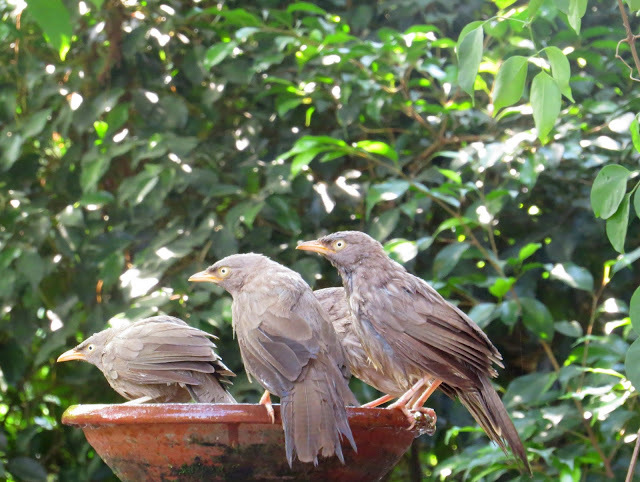 Rising temperature has made our bird bath a favourite haunt for birds. They drink play and bathe. Big ones chase away the small ones who keep returning to steal a chance. The game goes on …….. Weekend is the time for some special baking. On kids’ behest, we made Pizzas for dinner. The base was made with whole wheat flour and our local finger millet (madua) flour. 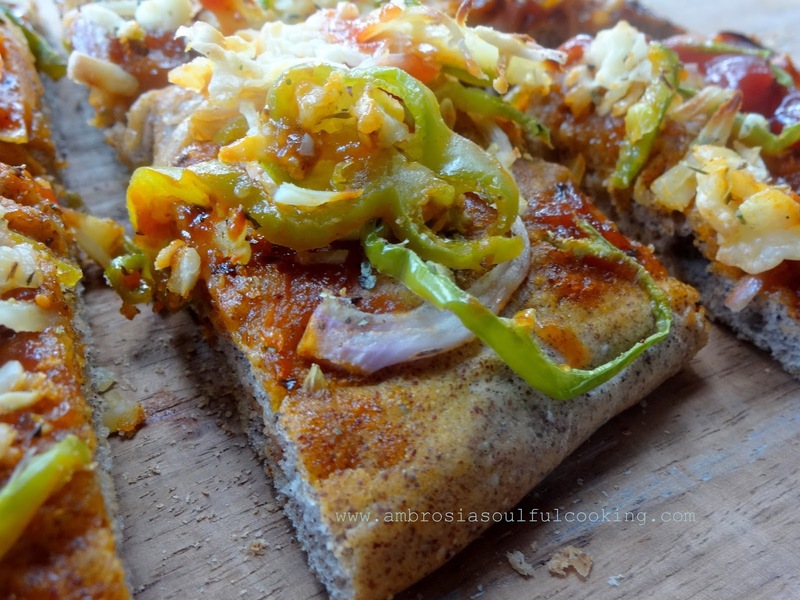 Finger millet flour imparted a nice texture and taste to the base besides making it healthy. Whisk together first five ingredients in a large bowl. Keep aside. Add sugar to water and stir to dissolve. Add yeast. Cover and let remain for 10 minutes. The mixture will become frothy. Add this to flour mix and knead well till dough comes together. Knead further for 4 to 5 minutes till you get a smooth and elastic dough. Punch the dough down. Divide the dough into four parts for thin crust pizzas. Cover the balls with a kitchen cloth and let sit for 10 minutes. In the meantime, grease a baking tray, sprinkle some cornmeal. Work on one dough ball at a time. Flatten it with hands on a floured surface. Use a rolling pin to get a pizza of 10-12 inches. Let the dough relax for 5 minutes. It will shrink a bit. Stretch with hand starting from center and working outwards to get the right size. Brush the top of the dough with olive oil. It will prevent the top from getting soggy from the toppings. Prick the surface of the dough with a fork to prevent bubbling. Let rest for another 5 minutes. Repeat with the remaining balls of dough. Transfer the prepared flattened dough to the prepared baking tray (bake one pizza at a time). Add about 2 tablespoons of pizza sauce. Sprinkle 1/3 cup grated cheese (mozzarella and cheddar mixed). Sprinkle Italian Spice mix. Slide the baking tray in the middle slot. Bake for 15-20 minutes till the base becomes golden from the edges and the cheese on top turns golden. We take turns hosting each month and choosing the theme/ingredient. Many thanks to our host this month, Sue of Palatable Pastime. If you are a food blogger and would like to join us, just send Stacy an email with your blog URL to [email protected]. Wow. Monsoon rain for you and hardly any here for me. Lovely bread you baked for the theme. 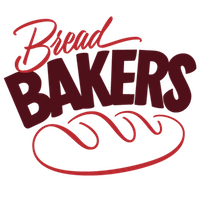 And welcome to Bread Bakers! Wow, that is my kind of pizza! Love the mix of toppings. That pizza looks amazing Namita. Love the additional links as well. 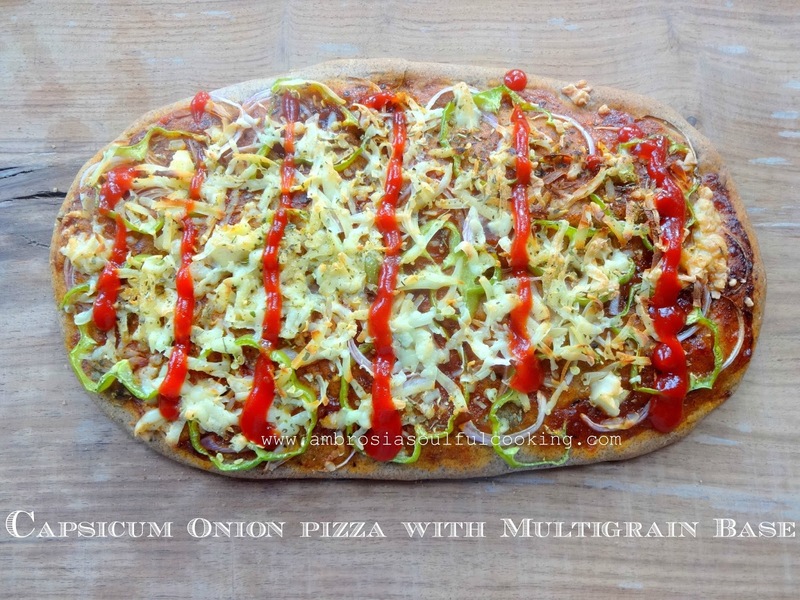 I am a lover of pizza but have never used millet flour. I'll have to give this a try! If we could only divide up the rain evenly. We are in a drought! Your bird photos are amazing and your pizza looks delicious! I am on the look out for whole grain based breads, esp Ragi - ur recipe is being bookmarked, Namita :) they look super nutritious and filling ! Millet sounds like a great addition to wheat based bread! Must admit I hate Monsoon season in Mumbai, so try and avoid visiting Mumbai during that time. 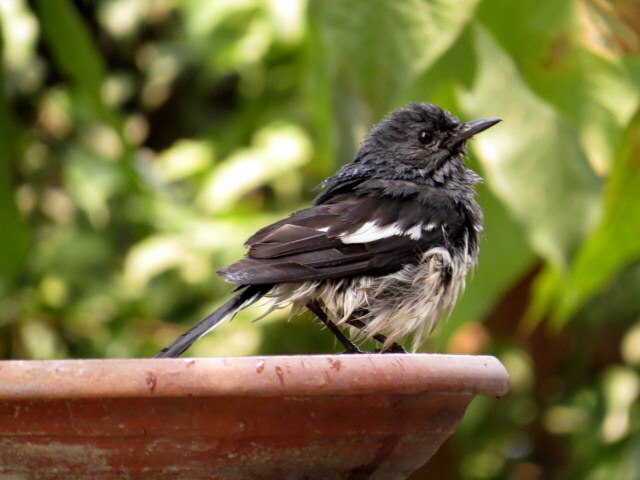 However, your lovely photos have me realise that monsoon season in other parts of India can be so beautiful. Love the idea of adding millet to the wheat flour base. Crust looks good. What a yummy looking pizza you got there. 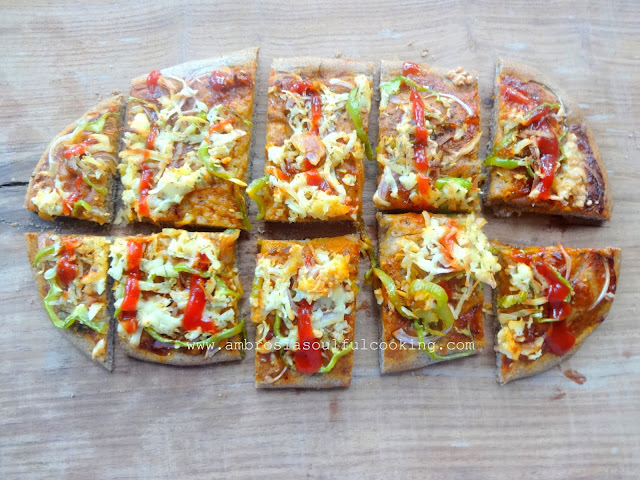 Love the whole grain crust and the pepper topping looks amazing.